This month we have the great inspiration of the Italian bread, the best of the best in this cuisine. I love a good focaccia bread, but sometimes I don’t have the time to make it with yeast, so I try and experiment with different recipes and methods and found the perfect compromise to this delicious bread. So easy and fast you will love the crunchiness and the flavor, a mixture of basil oil with oregano and parmesan cheese. Perfect for a side in salads or pasta, and of course just for the pleasure of eating perfectly delicious Italian bread. In a bowl add, water, flour, baking powder, salt, oregano and garlic powder, mix until everything is incorporated, then turn the dough onto a floured surface and knead for about 3 minutes. Form a ball and place it in a previously grease baking sheet, pour a little oil in the surface of the dough and spread into a rectangular shape. Sprinkle the parmesan cheese and bake for 25 minutes or until golden brown. This recipe makes 1 focaccia bread. Our host this month is Rossella from Ma ch ti sei mangiato, and our theme is Italian Breads. For more bread recipes, visit the #TwelveLoaves Pinterest board, or check out last month’s mouthwatering selection of #TwelveLoaves Olive Breads! 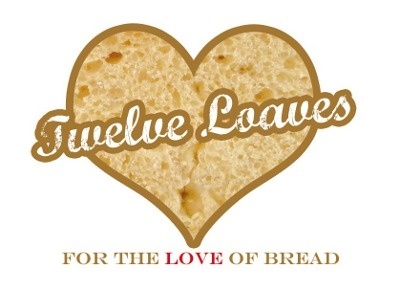 If you’d like to bake along with us this month, share your Italian bread using hashtag #TwelveLoaves!